What Are the Possible Defenses to the Sale of Drugs in New York? | Raw Law | Law Offices of Adam M. Thompson, P.C. 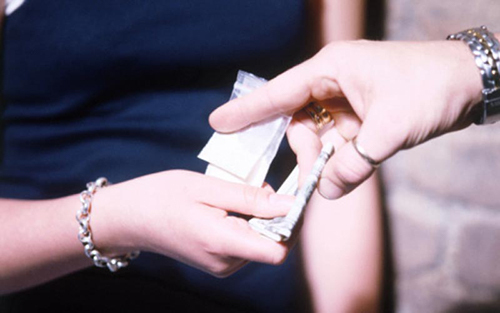 A conviction for the sale of illegal drugs in the State of New York carries with it serious consequences and penalties, including a lengthy term of imprisonment in some cases. If you have been arrested and charged with the sale of a controlled substance or marijuana in New York, it is important to remember that being charged does not mean you will be convicted. In fact, there are a number of possibly defenses that could be used in your case. Only an experienced New York criminal defense attorney can properly review and evaluate the unique facts related to your arrest and provide you with an opinion as to what possible defenses may work in your case. Challenging the stop/search – if the charges are based on evidence found during a street stop and frisk of your person, or a stop and search of your vehicle, or a search of your home, you may be able to challenge the stop/search. If it was conducted illegally, all evidence obtained as a result of the stop/search is inadmissible at trial. The police must have articulable facts and probable cause demonstrating that you were involved in criminal conduct. If the police fail to provide these facts, the entire stop and subsequent search, and whatever was recovered, can be thrown out of court and be deemed inadmissible for use at trial. If this happens, the prosecutor's case can be damaged beyond repair and the case dismissed or charges reduced. Wrong person - often the police make a drug arrest after the fact. It may be minutes or hours or even days later. If this is the case, you may be able to claim they have the wrong person and have a claim of mistaken identity. In this situation, it is important to be able to state where you were at the time of the alleged drug transaction. Being able to provide an alibi and eyewitnesses is key. If you can demonstrate you were not the right person, the charges may be dropped completely. Also, it may be possible to argue that if you identified in a police lineup or show-up that the process used was improper or suggestive and should be deemed inadmissible for use at trial. Challenging informant – many drug sale cases are based on information gathered from an informant or under cover police officer. An informant may even have allegedly purchased the drugs in question. Attacking the credibility of an informant is often a successful defense strategy. Informants usually have a criminal history and face serious jail time. To avoid jail, they will say whatever they have to to get off or get a plea bargain for a reduced sentence, including saying you were involved. Likewise, an undercover officer involved in the crime will do the same to protect the "team' of officers working the case and secure an arrest and conviction. They are 'trained liars" playing the part of a drug seller or buyer and should not be believed. Challenging the chain of custody and/or science – if the prosecution alleges that drugs were actually purchased from you they must produce the substance in question and prove it is that drug and the quantity. Sometimes, the substance was not properly handled (chain of custody) and/or the tests run on the substance were not conducted properly. Basically, this defense attack examines how the police obtained it, processed it, tested it, and secured it for use at trial. This challenge amount to technicalities on the handling and processing of the drugs recovered, but they can and do often work. Challenging the evidence of a sale – frequently, charges are brought based on circumstantial evidence that the State of New York claims amount to proof of the sale of drugs. A good defense attorney may be able to successfully argue that the same evidence only proves possession of the drugs, not the sale of drugs. Claiming entrapment – entrapment occurs when law enforcement officials induce someone into doing something he or she would not otherwise do. Though not an easy defense to use, with the right set of circumstances it can be a successful defense. If you have been charged with the sale of drugs in New York, the key to avoiding a conviction is to consult with an experienced New York criminal defense attorney as soon as possible. The earlier an attorney gets on board with your defense the better your chance of avoiding a conviction.